Cashless payments are rapidly becoming more commonplace, raising hopes for innovations linked to various new services. 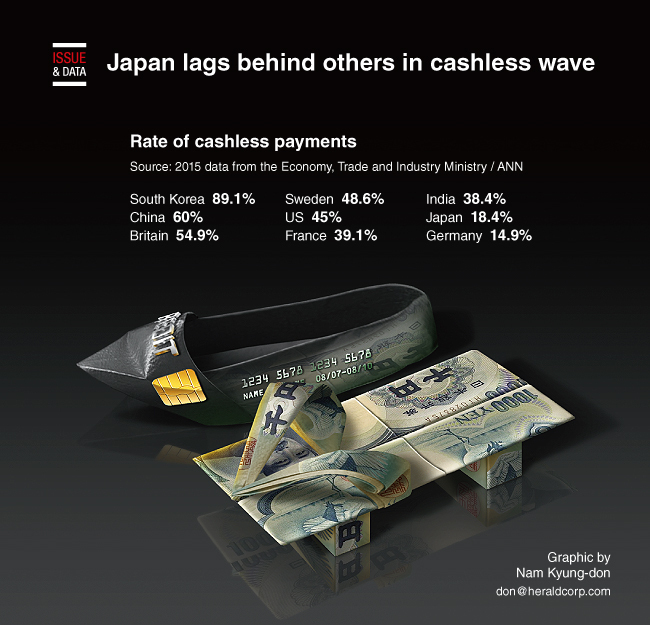 Japan, however, has fallen behind the cashless wave that is sweeping the world. In stark contrast to South Korea and China, where cashless payment rates were nearly 90 percent for South Korea in 2015 and 60 percent in China, Japan’s rate was less than 20 percent.